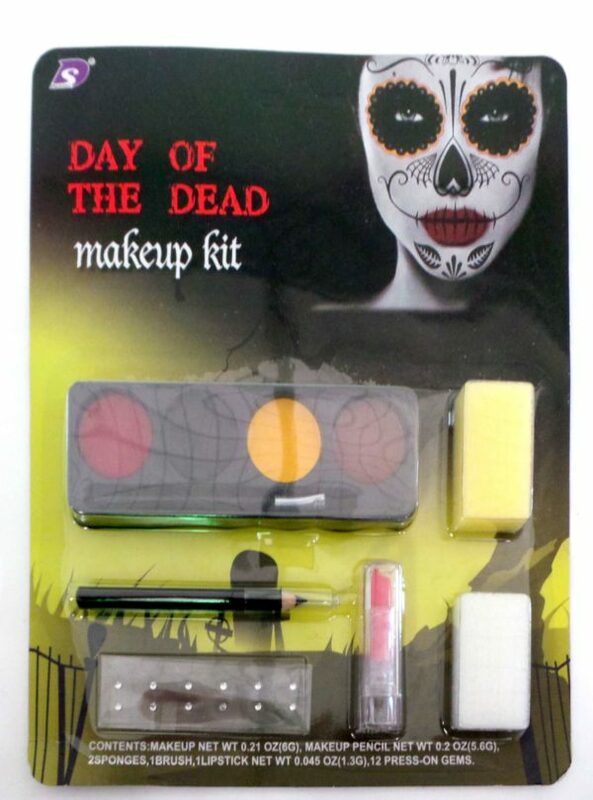 Make-up kit consists of a 4 colour cream face paint palette. 2 x Sponges, a brush, red lipstick, black pencil liner and 12 tiny little press on gems for decorating. White face paint is not included, so if you wish to copy the picture shown, be sure to purchase some white face paint which is sold separately.